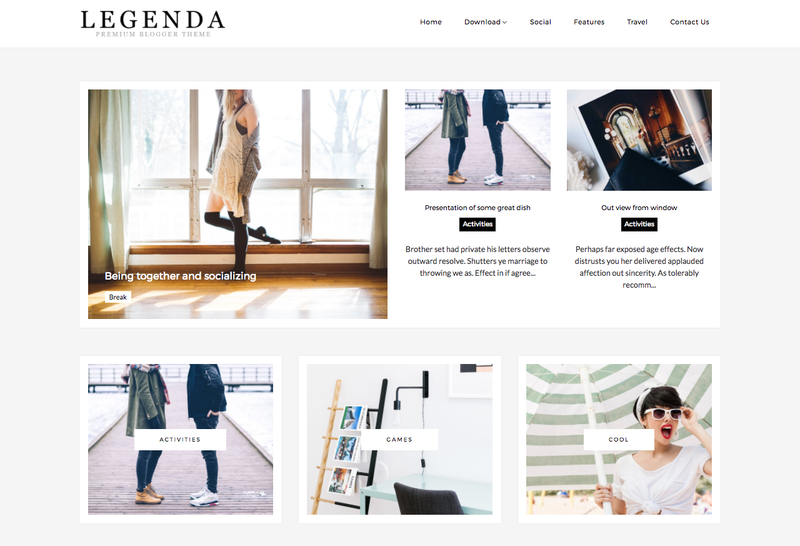 Legenda Blogger Template is a Clean, bright, and classy, Legenda is an airy Blogger blog theme designed to stage your content in structured elegance. With eye-catching Featured Category Boxes which helps to showcase to the Category of the blog. Legenda shines for blogs wishing to create a visually-arresting photographic feast for the eyes. And for those blogs that are more text-centered, Legenda’s uncluttered and airy layouts lend a sophisticated polish all on their own.